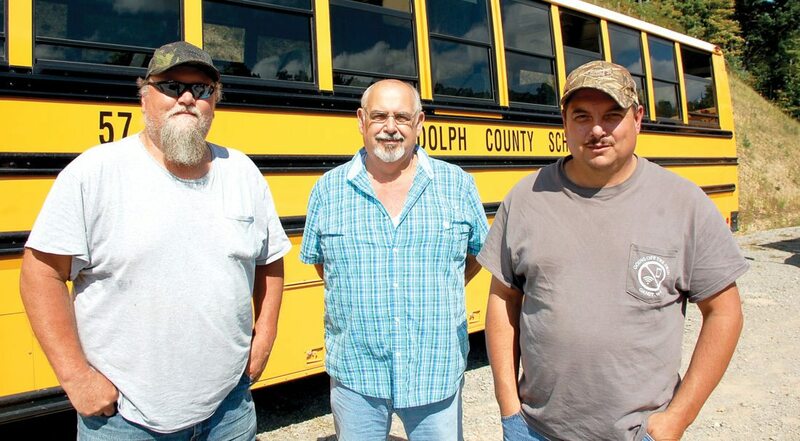 The Inter-Mountain photo by Beth Henry-Vance From left, Steve ‘Haystack’ Collins, Randy Sprinkel and James Harper are three Randolph County bus drivers. They are shown here recently at Davis & Elkins College after bringing local high school students to a college fair as part of a field trip. 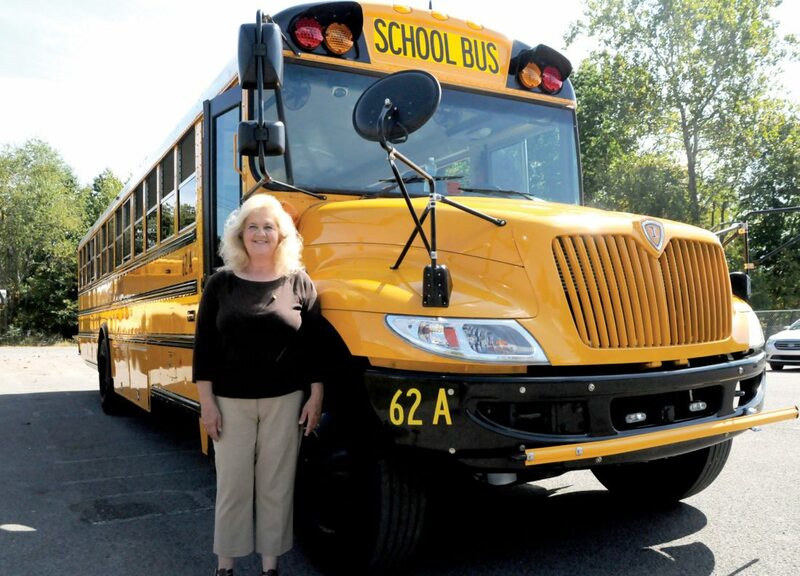 The Inter-Mountain photo by Beth Henry-Vance Clara LaVerne ‘Vernie’ McNeal, of Valley Bend, has been driving a school bus full-time for Randolph County Schools for 30 years. McNeal’s route takes her 54 miles each day around East Dailey to George Ward Elementary School and Tygarts Valley Middle/High School on bus No. 62-A. Some drivers in Randolph County have many years of experience, such as Clara LaVerne “Vernie” McNeal, of Valley Bend, who now has 30 years under her belt. McNeal had driven a tractor-trailer with her husband, Coy, when they owned their own rig and drove across the country for 10 years. She said friends suggested that she try becoming a bus driver after she and her husband sold their rig in 1985. “I thought, ‘Well, OK, I’ll look into it,'” McNeal said in an interview this week. She said she served as a substitute driver for a few years and then became permanent in 1987. She said the kids have changed over the years — sometimes they are a lot more hyper than they used to be — but she rarely has any problems. “I’ve got some really good kids all in all,” she said. McNeal’s route takes her 54 miles each day around East Dailey to George Ward Elementary School and Tygarts Valley Middle/High School on bus No. 62-A. Randolph County — the largest county in West Virginia — covers 1,040 square miles. With schools and students spread throughout the county, bus drivers travel 5,280 miles per day on regular routes, not including extra runs for field trips, sporting events or extracurricular activities. Randolph County Superintendent of Schools Gabriel J. “Gabe” Devono said the county relies on full-time and substitute drivers to take children to and from school safely every day, and it’s a big job. He noted there is a statewide shortage of bus drivers, and Randolph County has felt the shortage in recent weeks. The county has 49 bus routes, and all drivers are well-trained and put safety as the highest priority, he added. Randy Sprinkel, of Valley Bend, drives bus No. 68-A along the back road between Valley Bend and Mill Creek. A full-time bus driver since January, Sprinkel said he was told in training that bus drivers “have the world’s most precious cargo” and they must be extra cautious at all times. “I agree with that 100 percent,” he said, noting his favorite part about being a driver is interacting with the kids. 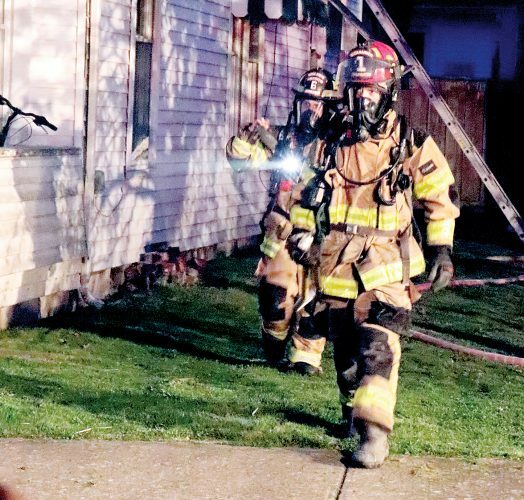 Prior to becoming a bus driver, Sprinkel had a 36-year career in the corrections field, working at Huttonsville Correctional Center for many of those years and later serving as a lead trainer in the region. He said he knows firsthand how important it is for young people to have responsible adults in their lives. “A lot of inmates, if they would have had some structure or guidance in life … they might not be in trouble,” Sprinkel said. He said one of the challenges as a bus driver is staying safe on slick roads and watching out for careless drivers. 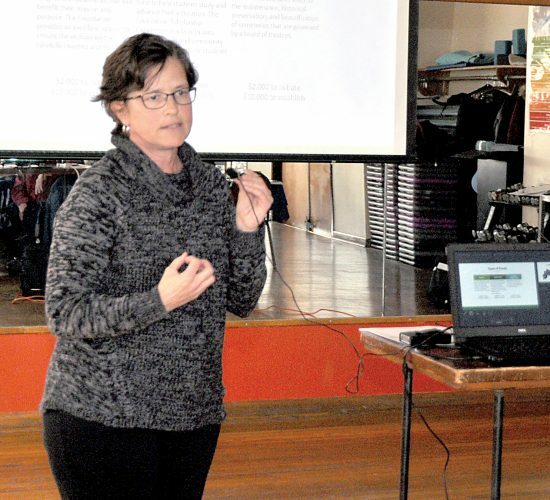 While the county leaders generally do a good job of issuing delays or cancellations based on poor road conditions, Sprinkel said, there can be times when secondary roads can be potentially dangerous. “You have to be extra careful with that,” he said. Another local bus driver is Steve “Haystack” Collins, who has worked for Randolph County Schools a total of 10 years. Collins also said he enjoys talking to the children on his route. His bus is No. 63-A, which covers part of the Valley Bend area. He said he doesn’t have too many rules on the bus — no eating, no drinking and definitely no profanity. “I won’t put up with that one little bit,” he said. Collins became a bus driver after recovering from a work-related accident in Kentucky in 2004, when he was doing repair work on a tractor-trailer and both his legs were crushed. His doctors told him he would not be able to drive a tractor-trailer anymore or anything with a standard transmission. James Harper, of Harman, also has experience driving a tractor-trailer as well as a bus. Harper said he drove a tractor-trailer along the East Coast full-time for about 17 years, and now he has a bus route in the Valley Head area as well as a truck route with Hayes Scott Rustic Fence & Lumber in Mill Creek. “It’s a long day,” he said, but he needs the income from both jobs in order to try to make ends meet. Harper’s bus, which is No. 69-A, goes about 100 miles round-trip. He said all bus drivers have a huge responsibility, and they make safety their top priority year-round. “I’ve got good kids,” he said, noting he has many of the same rules as Collins — no eating or drinking, and stay in the seats.